What do you talk about when you meet a music education expert? Well a lot actually! Last week on a sunny winter’s morning, I enjoyed a great conversation by the seashore at Brighton about singing to babies and the singing Neanderthals. As I anticipated, it was highly rewarding finally to meet with music education expert, Michael Griffin. Michael is the author of Learning Strategies for Musical Success (among other titles) and is a well-travelled international guest speaker with some wonderful tales of places and people including the redoubtable Muhammad Ali – vale. You can find Michael at Music Education World. Michael and I thought it would be fun to talk about influences on his work with teachers of teens and on my work (Musical Child) with teachers of toddlers and preschoolers. In this fascinating hour I got to learn some cool new things about music practice and how crucial it is for success – don’t worry we’ll only apply it to the eight year-olds! Preschoolers are safe and should definitely still be playing and having fun – no serious practice regimes for them. Among the many researchers discussed were Sandra Trehub (University of Toronto) who is a baby music specialist (see my earlier post) and Steven Mithen (University of Reading) who is a specialist in human evolution. In discussing the work of these great thinkers, Michael and I seemed to roam over how musical learning happens in babies and children through to teenagers and beyond. I’d first encountered Steven Mithen in the PBS television series The Music Instinct and was thrilled when we saw him travel to Severn in Germany to see the 40,000 year-old bone flutes made from the hollow bones of birds and from mammoth ivory. So now, after hearing about some of Michael’s favourite readings, I’ve downloaded Steven Mithen’s book The Singing Neanderthals: The Origin of Music, Language Mind and Body onto my Kindle. I was fascinated by the idea of Neanderthals being singers for a couple of reasons above and beyond the duty call of music education research. First, I just love French-born Australian entertainer Julia Zemiro, especially when she commentates the Eurovision Song Contest. Lately she has been involved in tracing her ancient ancestry through her DNA back over 200,000 years (along with two other well-known Australians, actor Ernie Dingo and Olympic Medallist Ian Thorpe). In the latest episode of DNA Nation on the SBS Channel, Julia finds out she has a lot more Neanderthal in her DNA than most people in the sample. The plot thickens. Second, when I was a young woman in my student days, I binge-read as many works of William Golding as I could find (instead of doing my set assignments) and absolutely loved The Inheritors, a strange tale of the tragic encounter between a remnant group of peace-loving Neanderthals and the violent, mead-swilling, cliff-climbing Cro-Magnon new-comers. It’s a dark view of human evolution but if you’ve ever read Lord of the Flies or seen the film you’ll know that it’s the complex and contradictory elements within us that drive this author. The story of Lok and Fa suddenly sprang to mind when it became clear during the DNA Nation second episode that early humans had interbred with Neanderthals and we’ve only recently discovered that we can trace that ancestral relationship through our DNA. So just like Golding, it’s the workings of the mind of the Neanderthal that fascinates Steven Mithen. He is Professor of Archeology at Reading University. Within his discipline, he has four areas of special interest and this particular book, published in 2005, deals with evolution of the human mind, language and music. Steven is a pioneer in his field of ‘cognitive archeology’. As is so often the case in this 21st century, we see a prolific writer and well-respected academic working across the disciplines. Steven delves into psychology, neuroscience and philosophy of mind to shine their new lights onto the interpretation of the archeological record. And he comes up with another compelling piece in the jig-saw puzzle about the place of music in our lives. What is that? Here’s the bombshell – Steven Mithen concludes that we sang before we spoke! I think for that he definitely becomes an inspirational voice in the choir informing the music education expert. I’ll write a blog post dedicated to this book once I’ve read it all. I’m looking forward to Chapter 6 ‘Talking and Singing to Baby: Brain Maturation, Language Learning and Perfect Pitch. I’ll most certainly be adding my notes from this marvelous author into my training and professional development sessions, videos and papers. So – what’s next? I think it’s fair to say we’re both looking forward to more discussions like this where we can exercise our minds as the “music education expert”. Thanks Michael! 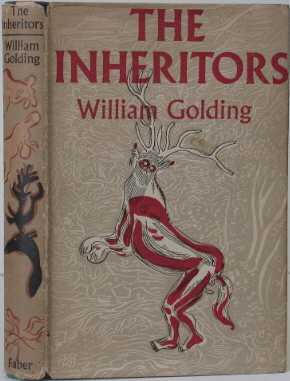 Golding, William (1955) The Inheritors. Faber and Faber, London. Mithen, S.J. (2005) The Singing Neanderthals: the Origins of Music, Language, Mind and Body. Weidenfeld & Nicolson, London. The Music Instinct: Science and Song. A film by Elena Mannes, 2009. PBS. Thanks for some great food for thought, love how you and the writers you refer to connect different areas of interest. Fascinating. Thanks. It was an enjoyable exercise tying those strands together. The process of writing for others certainly helps those random ideas to make sense.